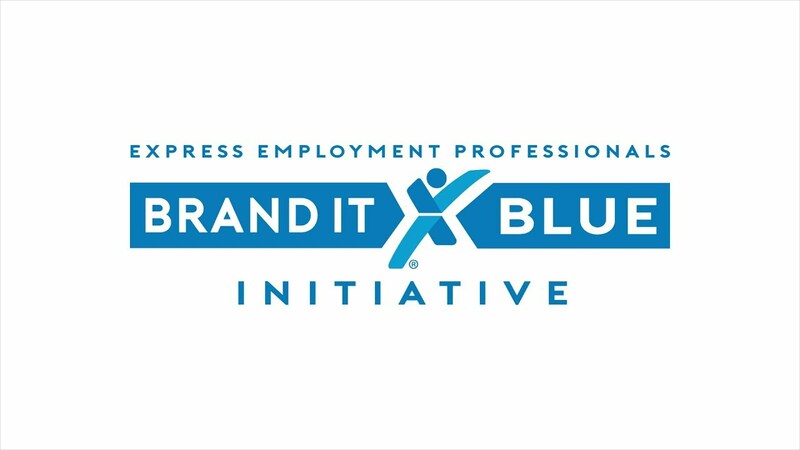 The Brand It Blue Initiative was born out of a desire to serve and partner with a variety of nonprofit organizations in more than 800 locations in the United States, Canada, and South Africa. As part of the mission of Express Employment Professionals, our franchises help connect qualified job seekers with reputable companies, but also go above and beyond to provide hope to their communities. In recent years, franchise offices partnered with local food banks to help end chronic hunger. Between 2013 – 2017, Express staff, associates, clients, friends, and family provided nearly 600,000 meals through food drives, monetary collections, and volunteer hours served! Realizing our franchisees our passionate about numerous causes, from hunger to education, homeless animals to senior citizens, the Brand It Blue Initiative is now a year-long, expanded philanthropic effort. We invite you to join us as we give back. Locate and call the nearest Express Employment Professionals office near you to find out how you can participate!